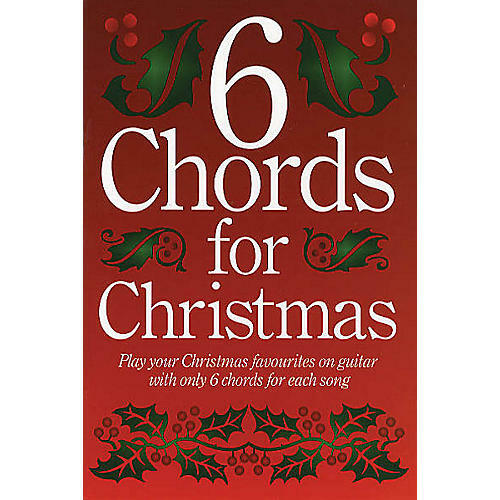 Even the beginning guitarist will be able to play these wonderful Christmas classics, all of which need no more than six chords. Songs and carols are a vital part of the Christmas magic, spreading cheer, sprit and yuletide nostalgia through singing together. Anyone with a basic grasp of the most simple guitar chords can enjoy playing these seasonal favorites, from the gentle Away in a Manger and the stirring In the Bleak Midwinter to the joyful Deck the Halls and Jingle Bells. Just learn the six simple chords, and you'll be playing right away! Contents: Away in a Manger · Deck the Halls · Good Christian Men, Rejoice · Good King Wenceslas · Hark! The Herald Angels Sing · I Saw Three Ships · In the Bleak Midwinter · Jingle Bells · O Christmas Tree · O Come All Ye Faithful · O Come, O Come Emmanuel · O Little Town of Bethlehem · Once in Royal David's City · Silent Night · Sussex Carol · The First Noel · The Holly and the Ivy · The Mistletoe Bough · The Twelve Days of Christmas · Unto Us a Son Is Born · We Three Kings of Orient Are · We Wish You a Merry Christmas · What Child Is This? · While Shepherds Watched Their Flocks.